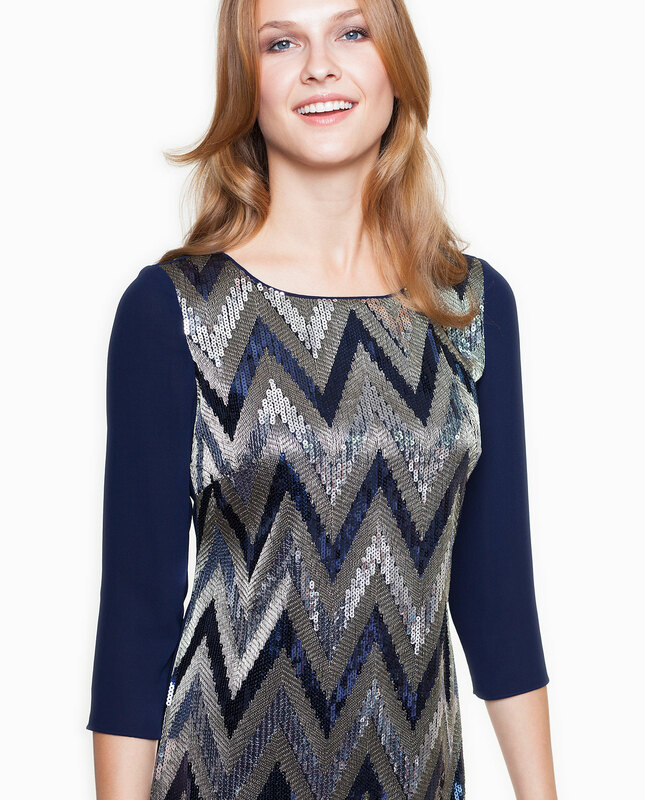 A classic navy-blue dress with 3/4 sleeves and a sequin pattern. Its simplistic form is compensated by an impressive-looking front side. Its fabric is soft feels very pleasant to the touch. There is a hidden back zipper and elastane lining which ensures that the dress is comfortable to wear. This design is perfect for an evening out and special occasions.